Microsoft’s Skype for Business is an extremely stable system, featuring 99.999% reliability. Yes, five-nines; a feature usually reserved for enterprise-grade on-premise telephone systems. And Skype for Business is about more than just voice; it features video conferencing, desktop sharing, remote control, presence and instant messaging. Central management provides you with control of your employee accounts. Integration with Microsoft Office links your core software together for simplified working. Skype for Business is hugely scalable, starting from just one user and exceeding 10,000, with conference rooms that can manage up to 250 participants. Each model has it’s own features and limitations; getting it right is essential if you want a VoIP system that works for you. For example; on-premise systems will have more flexibility of features, as you are not part of the public cloud, while the public cloud model offers greater resiliency. Understanding which one is right for you is exactly what Nexus IP are here for. Let us treat you to an informal demonstration and feature discussion at our facilities in central London or Gatwick, where we can help you make the right decision. How you integrate your users with your telephone system is vital if you want them to accept the new telephone system. Traditionally, handsets are the standard interface, and many employees may wish to remain that way. However, for those willing to embrace new methods, headsets offer convenience and flexibility. Nexus IP have reviewed the marketplace and partnered with two key manufacturers for headsets and handsets, both optimised for Skype for Business. Jabra offer an extensive range of business grade headsets and loudspeakers. Their innovation and convenience comes from a business that also has a strong presence in sportswear audio. With Jabra, you really can expect all day comfort with devices built for business. Their range of headsets can cater for all users, whether desk-based or mobile. Add resilience on your headset investment by choosing headsets that also connect to mobile phones with Bluetooth, allowing your employees to truly work anywhere. Jabra also have a range of loudspeakers that connect to PC, laptop, tablet and mobile phone. USB and Bluetooth connection means connectivity in any circumstance, and a rechargeable battery allows use anywhere, any time. Staying connected really doesn’t get any easier. And with Skype for Business optimised devices, you can be assured the products you invest in are designed for the job at hand. When choosing a handset to work on your Skype for Business platform, we recommend the Polycom VVX series. Polycom are certified by Microsoft for Skype for Business, providing assurance that the devices we supply are right for you. Models range from 6 -line entry-level media phones up to touchscreen enabled executive work stations. Over the last 25 years, Polycom have become globally recognised for innovation and reliability in both voice and video conferencing. Their latest developments in high-definition voice prove that their products continue to excel. 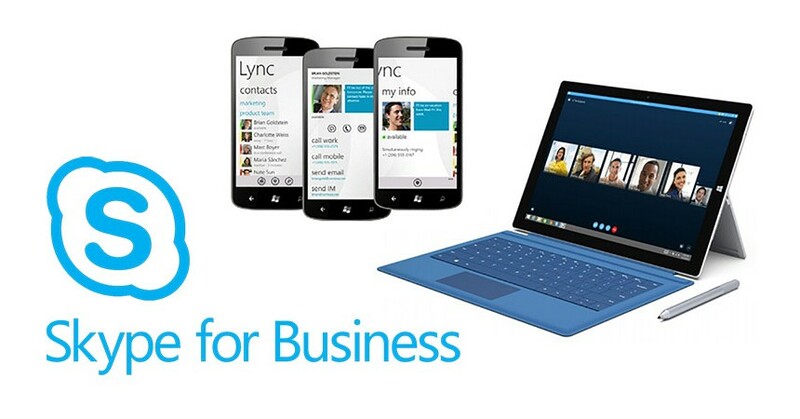 There is no better handset for your Skype for Business platform. Let us show you how Skype for Business can take your business to the next generation of communication platforms.